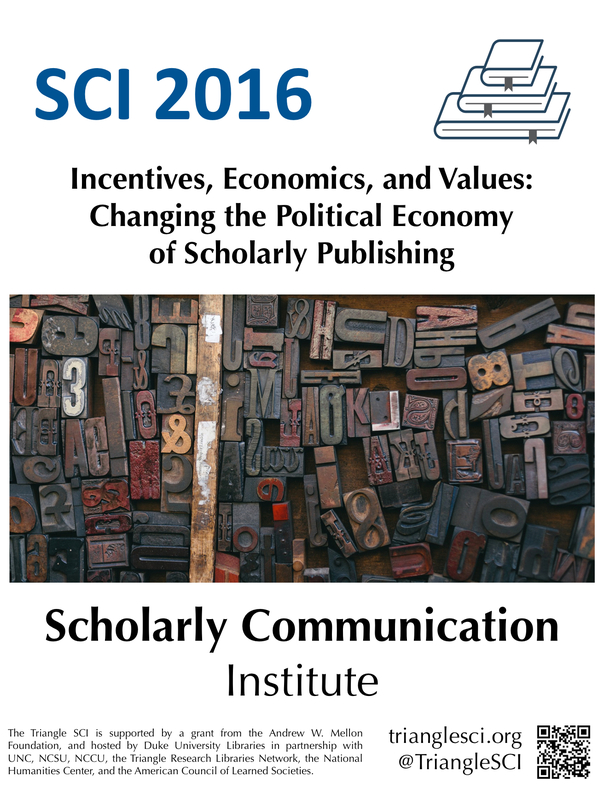 The 2016 Scholarly Communication Institute starts today, October 9. We’ll be busy for the next five days so won’t have time to blog progress here, but you can follow along (and join in) online via the #TriangleSCI hashtag on Twitter. I’ll also be curating a representative sample of tweets, links, and photos about SCI 2016 in this Storify thread, and you can also follow this list of all tweets by people in the SCI 2016 cohort. This entry was posted in 2016 Institute, Announcements and tagged SCI 2016. Bookmark the permalink.